Total = $5299.00 + taxes (H.S.T. 13% here in Ontario). 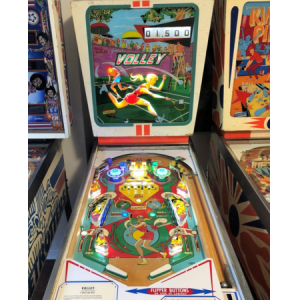 This is a great example of this Bally classic. 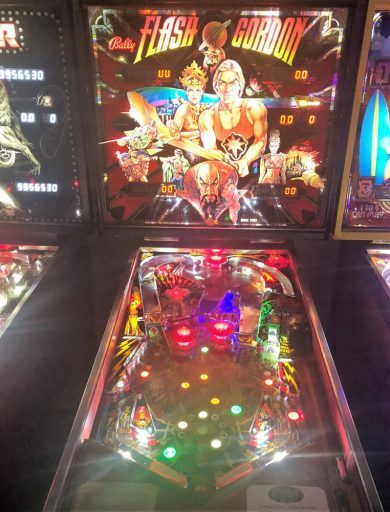 The playfield shows some wear, and the backglass is perfect and unfaded. 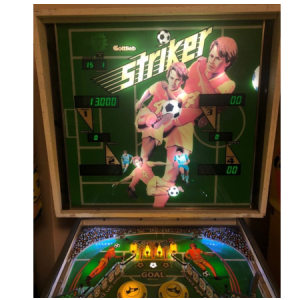 The cabinet is in good shape. It has a new aftermarket strobe light which functions flawlessly. 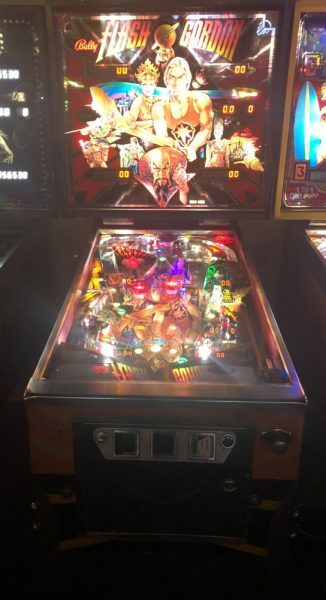 The custom LED package really makes this game stand out, and with the lightning fast gameplay and incredible sound and speech package, this game is hard to beat for replay value, and would make a good only Pinball Machine on a desert island. 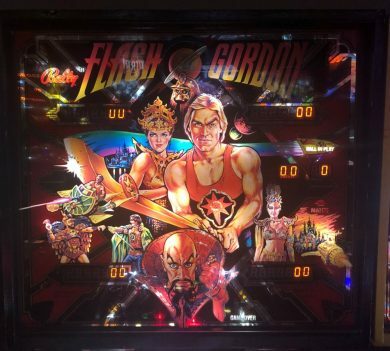 This Flash Gordon plays better than new, and has been treated to the full Black Label process described below, and in more detail here. 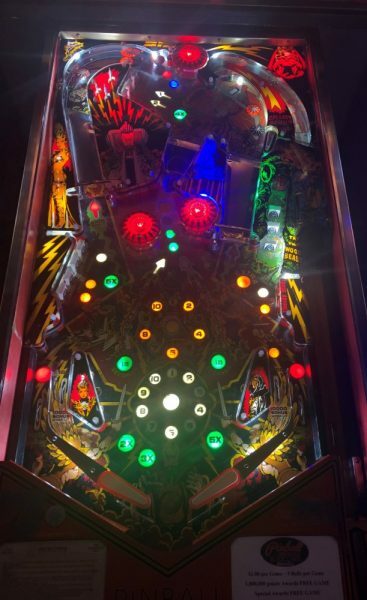 Pinball Medics Custom Shop Black Label Classic Bally/Sterns from the late 70’s & early 80’s. They’re like driving a ’69 GTO with a new Corvette Power Train and Suspension. 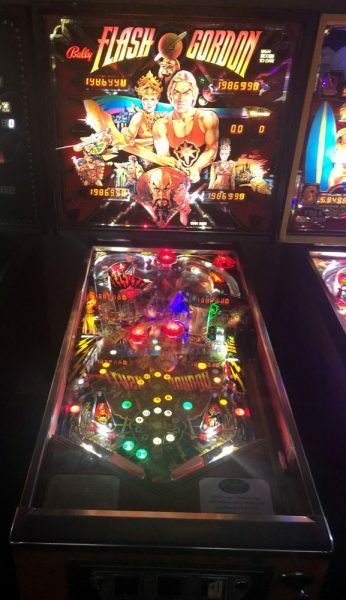 In addition to it’s original purchase cost, each Black Label Game represents approximately $700 – $1200 in new parts, at our cost, as well as 40 plus hours of labour, followed by a test period at the Ottawa Pinball Arcade, where they are put through their paces and dialed in to perfection. 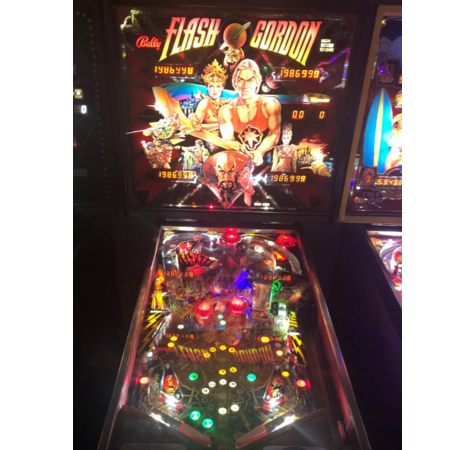 This actual game is currently playing at the Ottawa Pinball Arcade at 2559 Baseline Road, where you can see for yourself how amazingly well this game plays, and looks! 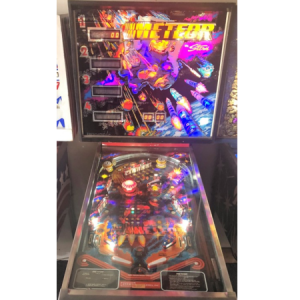 Gottlieb Striker Pinball Machine – Full LED, Pascal All-in-one, Very Rare & Minty!